We have seen quite a lot of news about self driving cars over the last few months, there are various self driving cars on the way, and now we have some details on a self driving truck, the Mercedes Future Truck 2025. 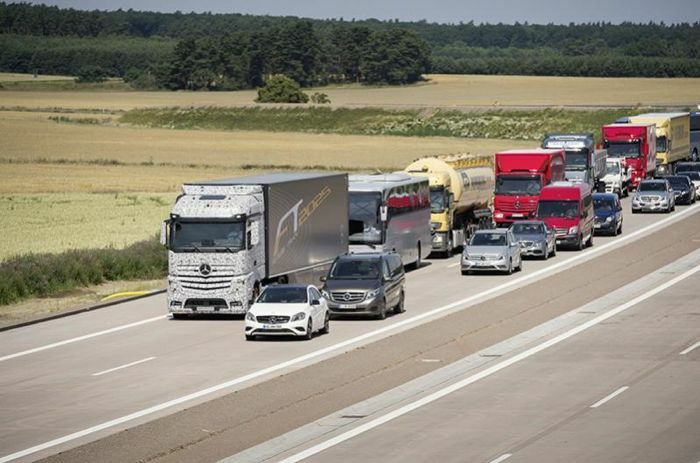 The Mercedes Future Truck 2025 is designed to help truck drivers on their long journeys, and the vehicle is capable of driving itself on the motorway at a speed of 80kmh. Sounds like science fiction? 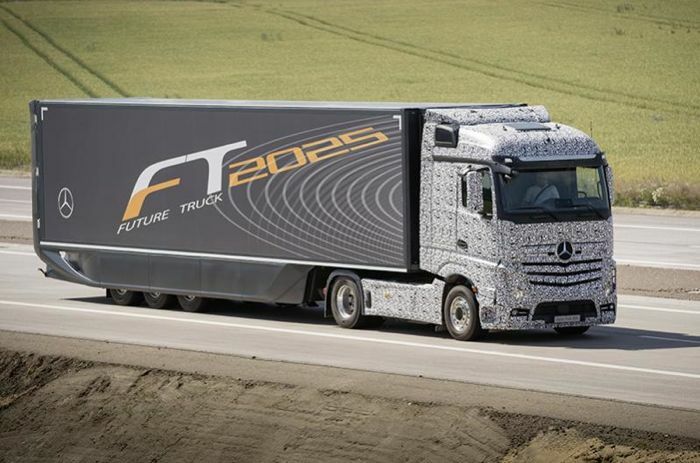 Think again, as it is already here today – the Future Truck 2025 from Mercedes-Benz. The Highway Pilot system enables this truck to drive autonomously at a speed of 80 kilometres per hour. With it we are presenting the long-distance truck of tomorrow, and giving an outlook on the transport system of the future. It is based on intelligent networking of all the safety systems already available, plus cameras, radar sensors and vehicle-to-vehicle communication. According to the company, the new Future Truck 2025 is designed to be more fuel efficient, and it is also designed to ease congestion on motorways. Mercedes intend to test out their new autonomous truck over the next few years, although the company has plans to launch a fully autonomous truck by 2025, you can find out more details over at Daimler at the link below.